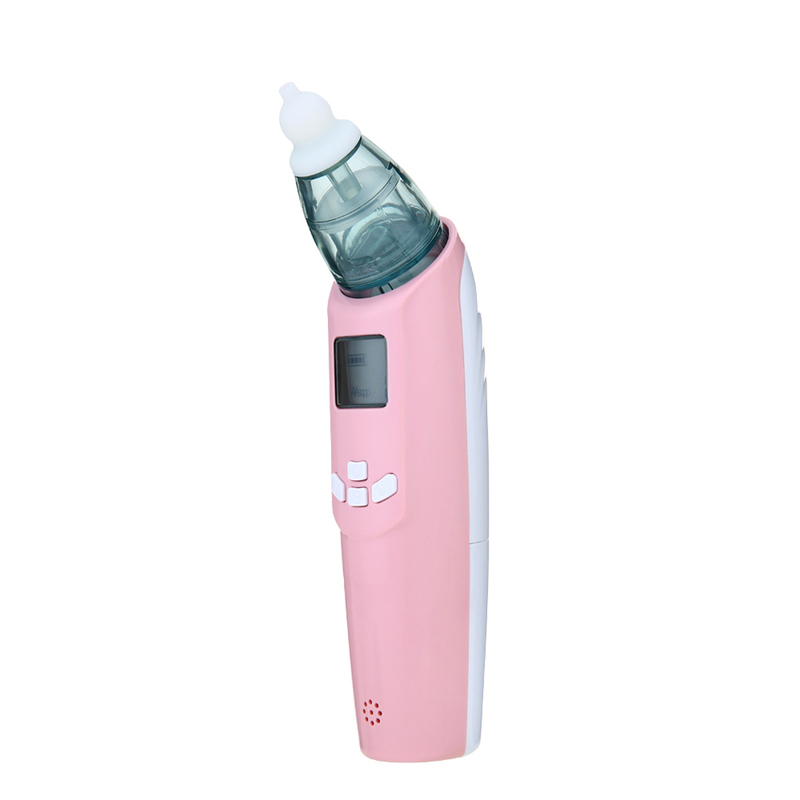 1、Multi-functional sleep instrument: It features built-in 8 hypnotic songs and a variety of sleep music can be played at the same time. 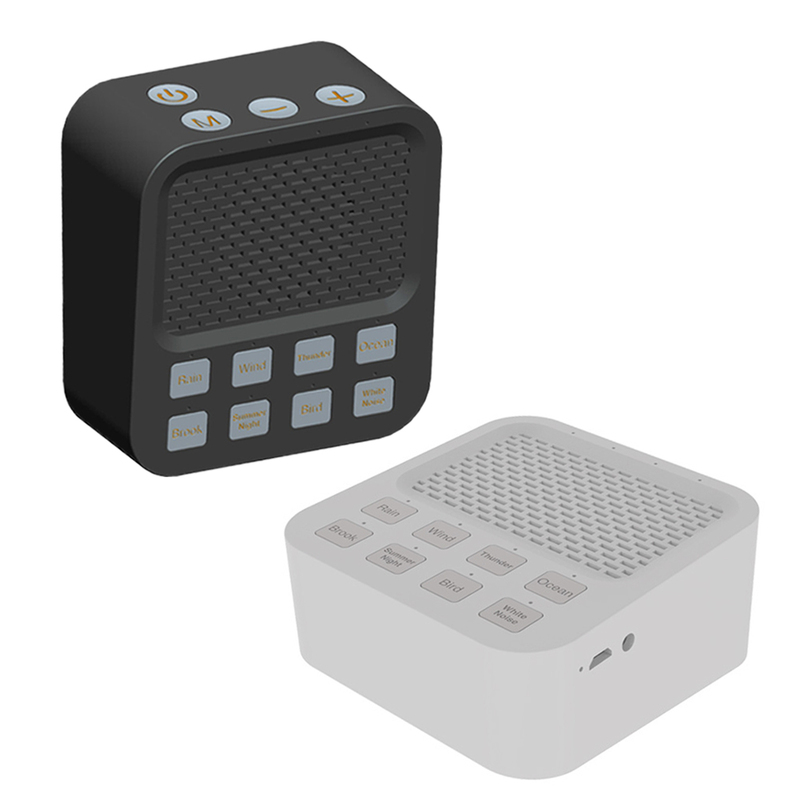 It can be connected to the phone to play music as a speaker, suitable for adults and children use. 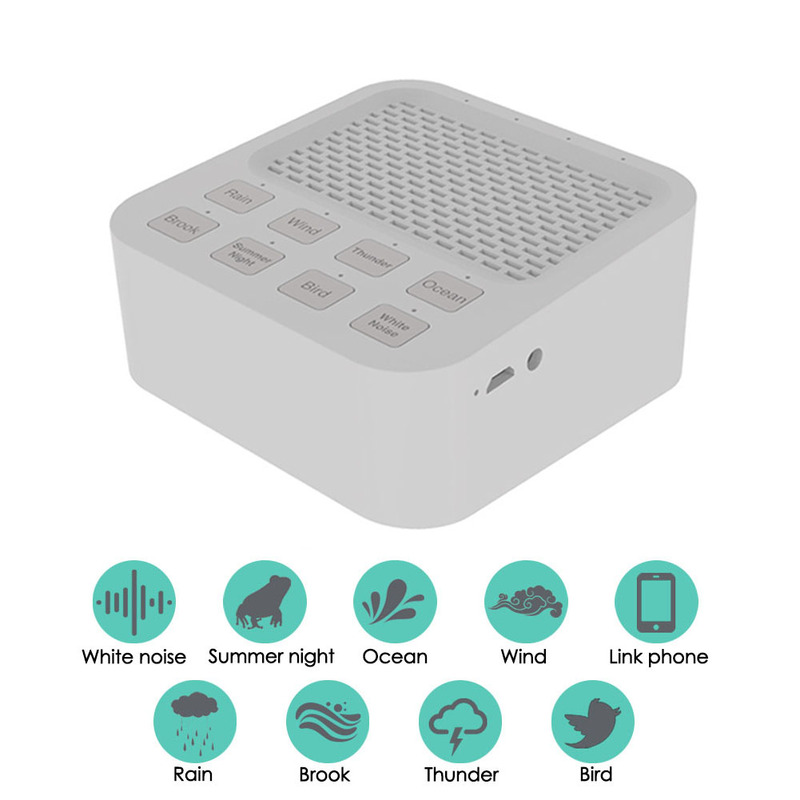 2、8 kinds of smooth and natural sounds: rain, wind, thunder, waves, water, summer night insects, bird songs, white noise, which can be played at the same time. 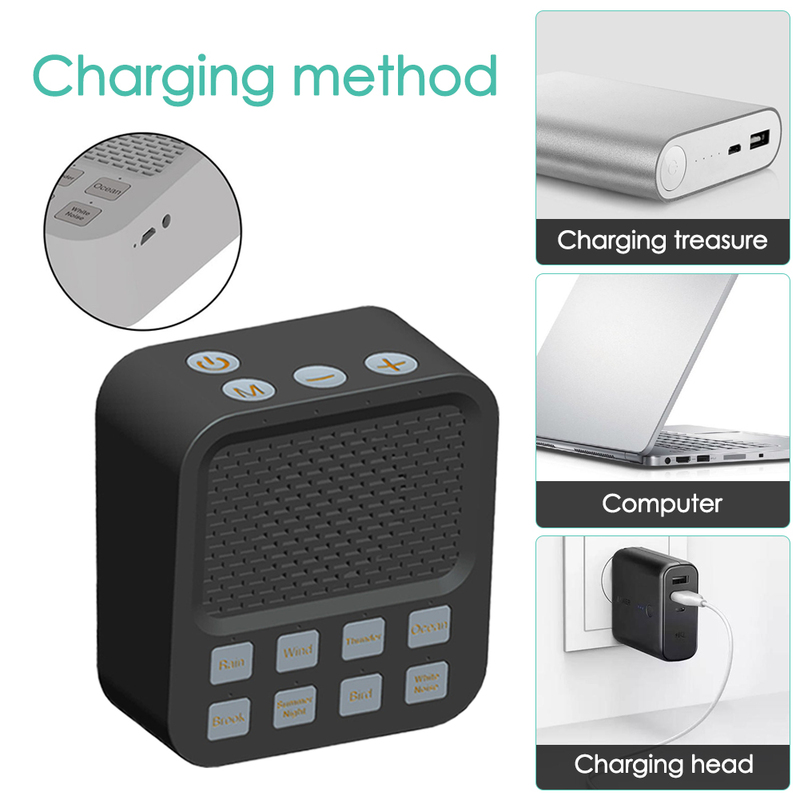 You can choose sound according to your preferences and needs to create a quiet environment and let you fall asleep quickly and rest completely. 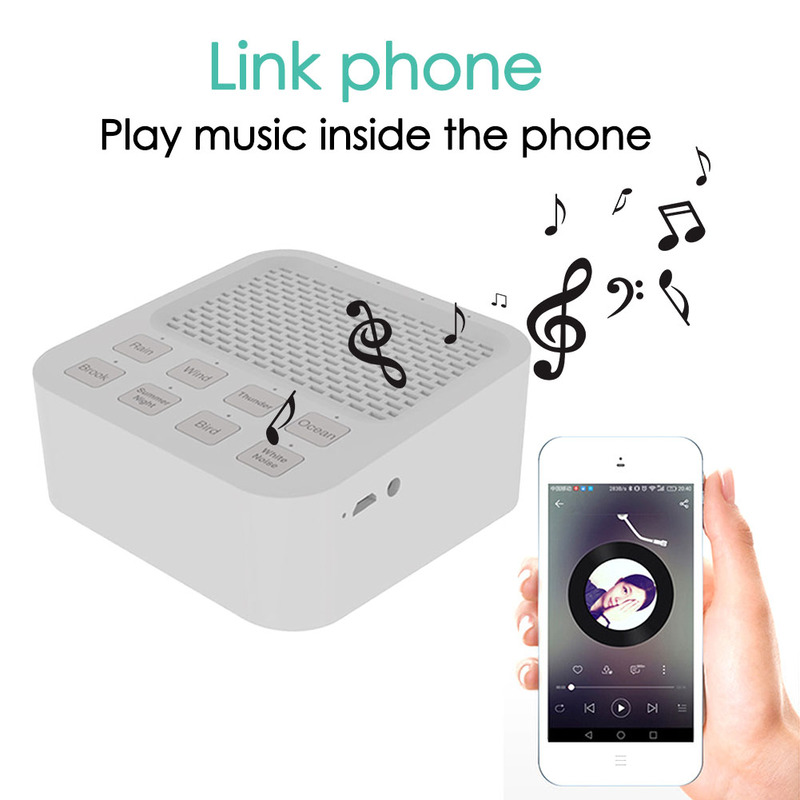 3、Can be connected to the phone and used as a speaker: Play the music inside the phone. 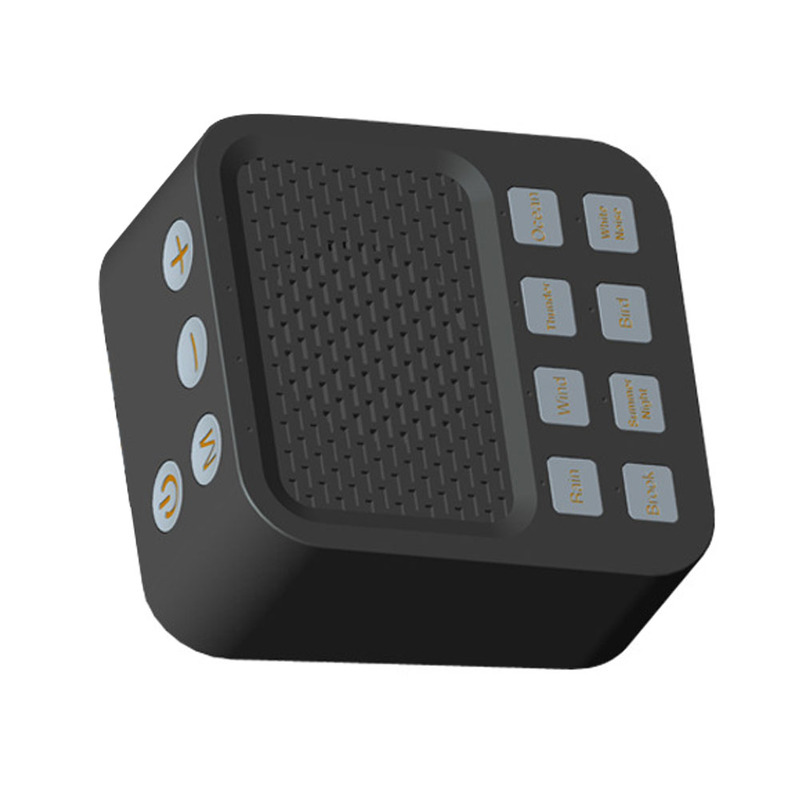 You don\'t need hypnotic sounds during the day, so that it can be a speaker to keep you stay in the music environment, help you relieve stress and relax your emotions. 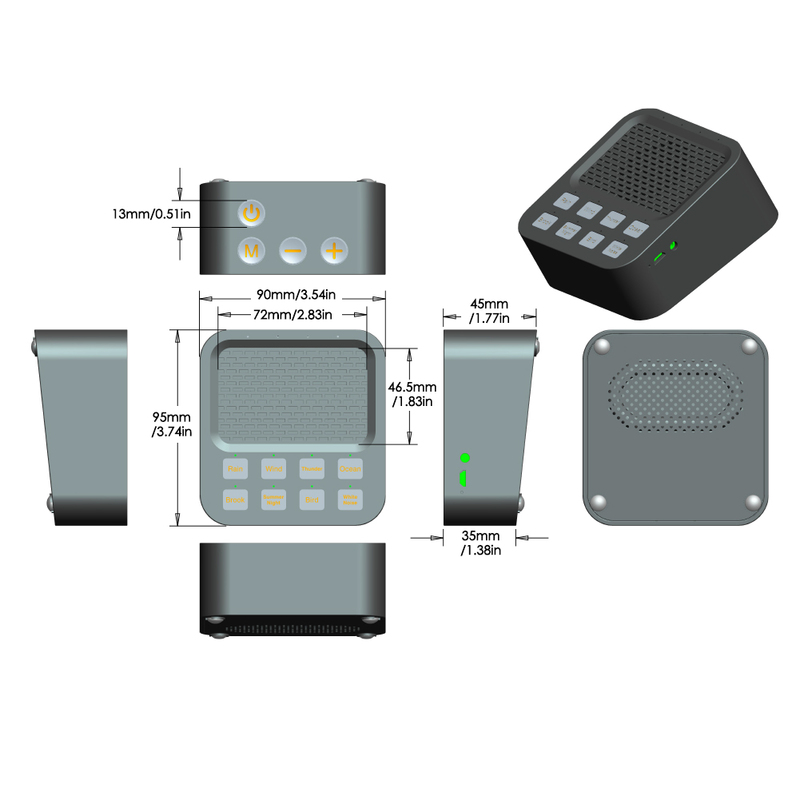 4、Timing shutdown function: You can choose the 30/60/90 minutes shutdown function. After starting up, the default is to shutdown manually. 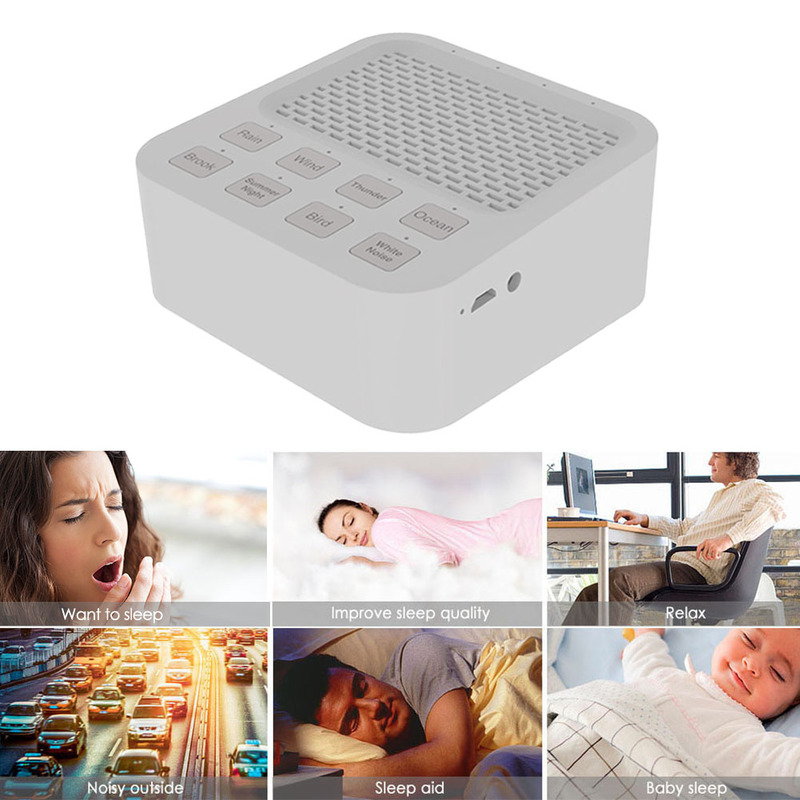 5、Not just for sleep: Our sleep machine can mask noise, improve sleep quality, help you relax, and is suitable for use at home, in the office, in a dorm, in a baby nursery or anywhere you want. 2. A variety of sleep comfort music can be played at the same time. 5. 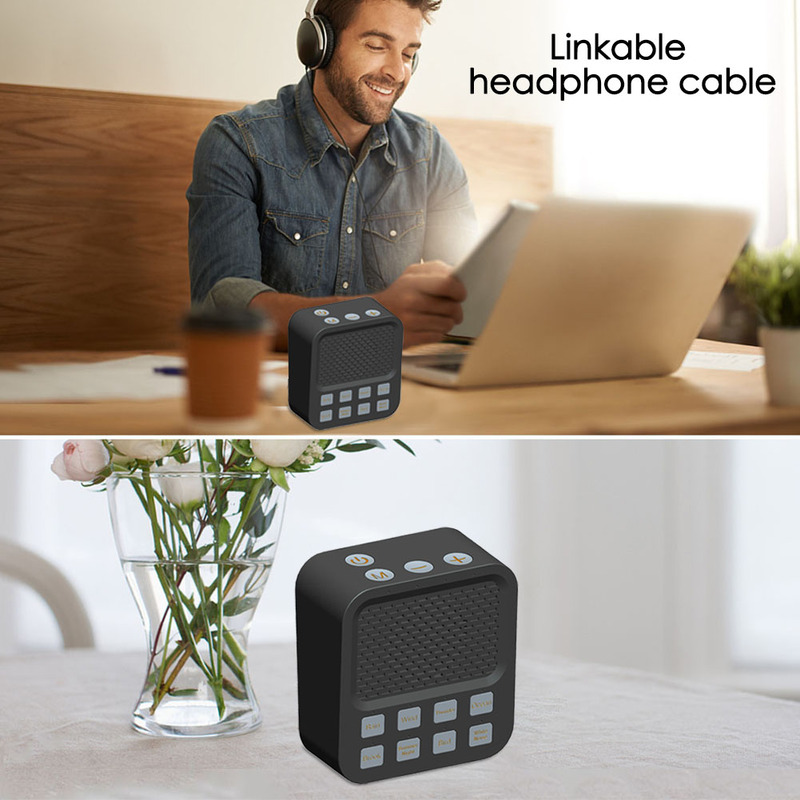 Built-in lithium battery, USB rechargeable, can be connected to headphones. 1. 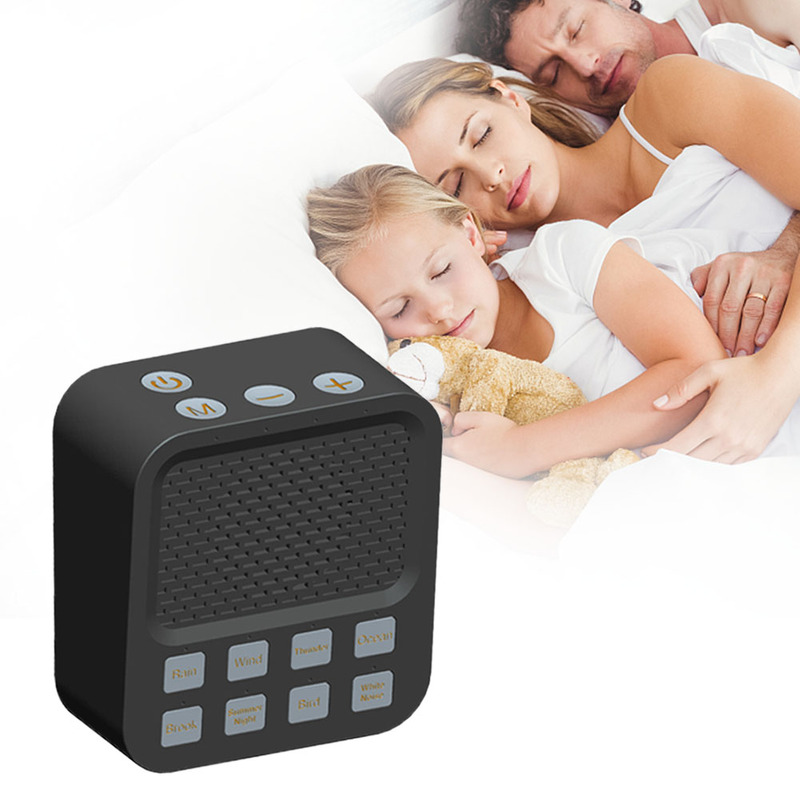 Multi-functional sleep instrument: It features built-in 8 hypnotic songs and a variety of sleep music can be played at the same time. 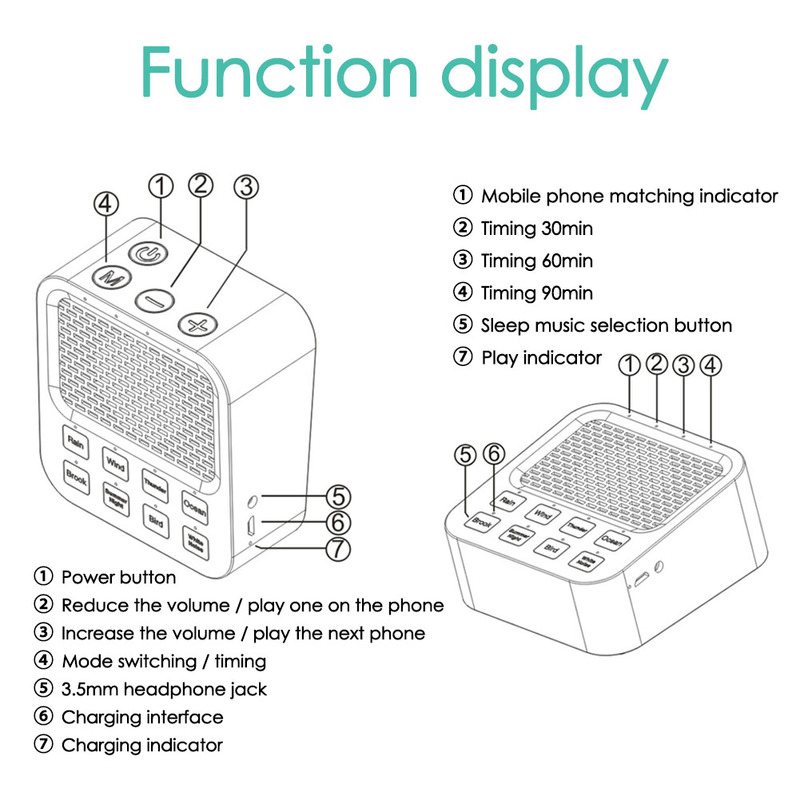 It can be connected to the phone to play music as a speaker, suitable for adults and children use. 2. 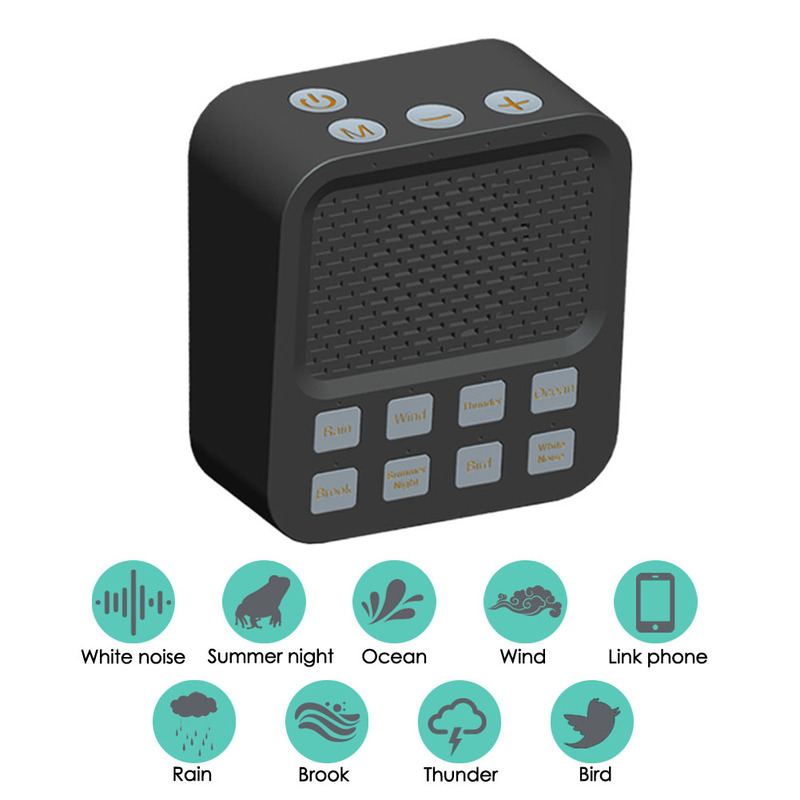 8 kinds of smooth and natural sounds: rain, wind, thunder, waves, water, summer night insects, bird songs, white noise, which can be played at the same time. 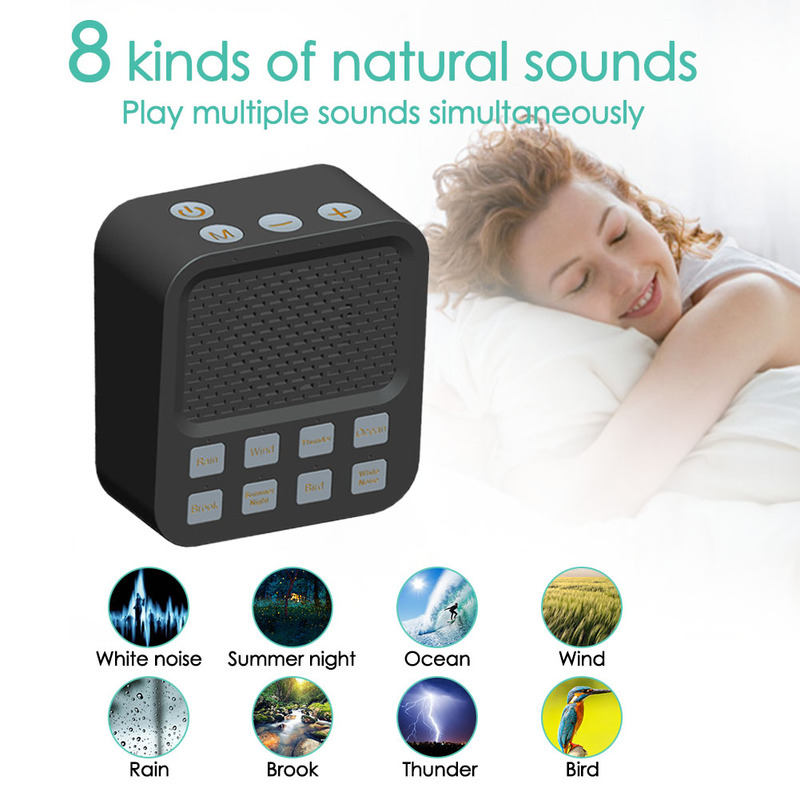 You can choose sound according to your preferences and needs to create a quiet environment and let you fall asleep quickly and rest completely. 3. 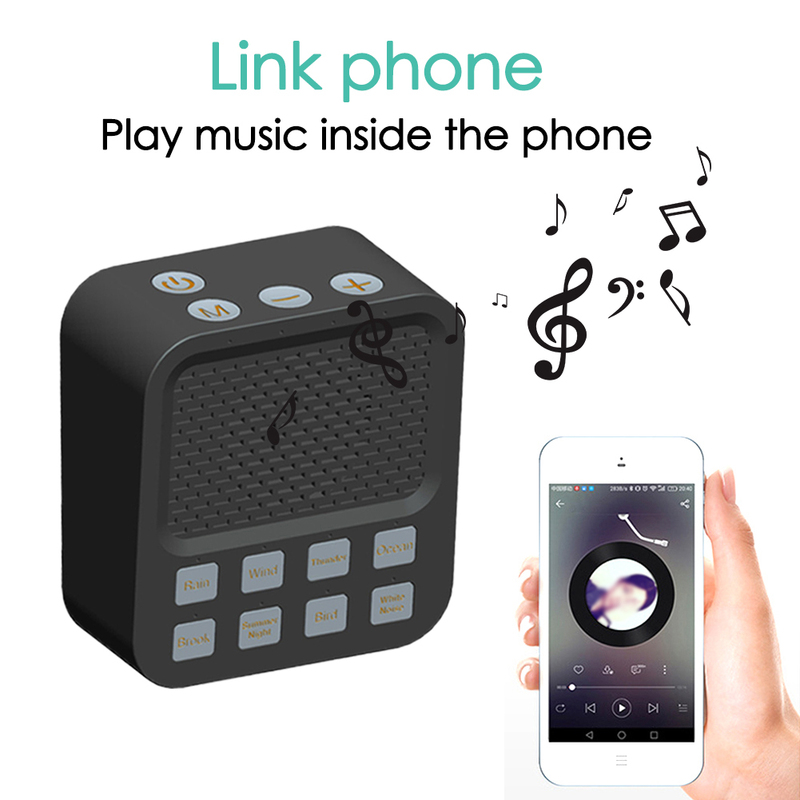 Can be connected to the phone and used as a speaker: Play the music inside the phone. 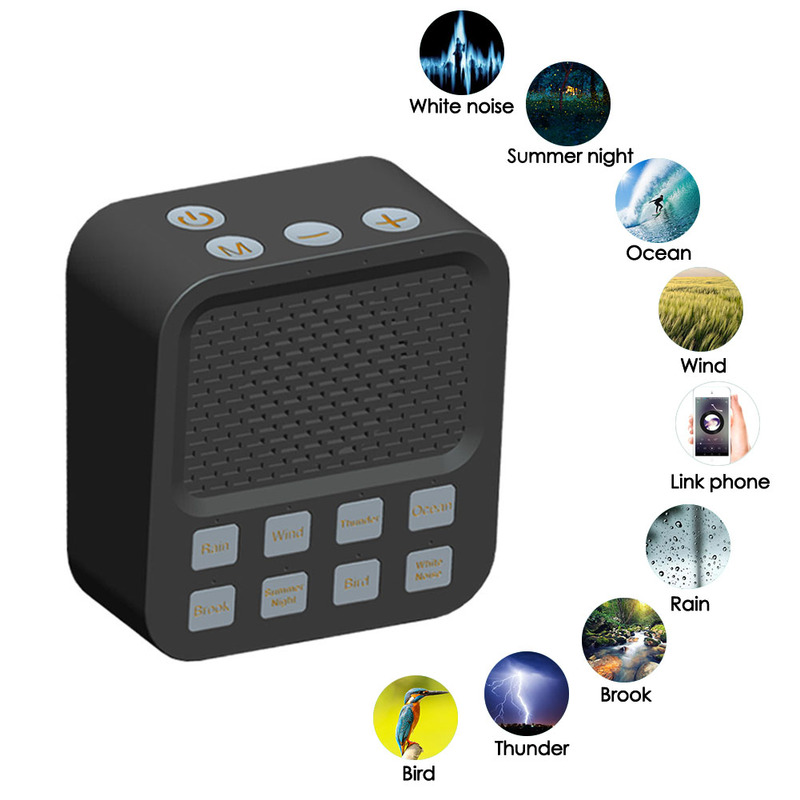 You don\'t need hypnotic sounds during the day, so that it can be a speaker to keep you stay in the music environment, help you relieve stress and relax your emotions. 4. 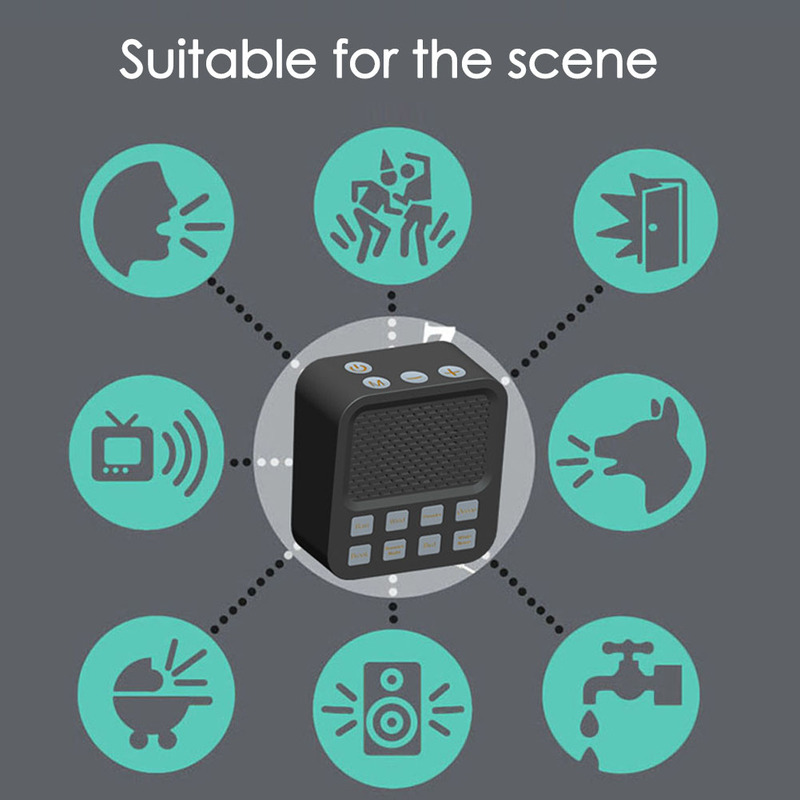 Timing shutdown function: You can choose the 30/60/90 minutes shutdown function. After starting up, the default is to shutdown manually. 5. 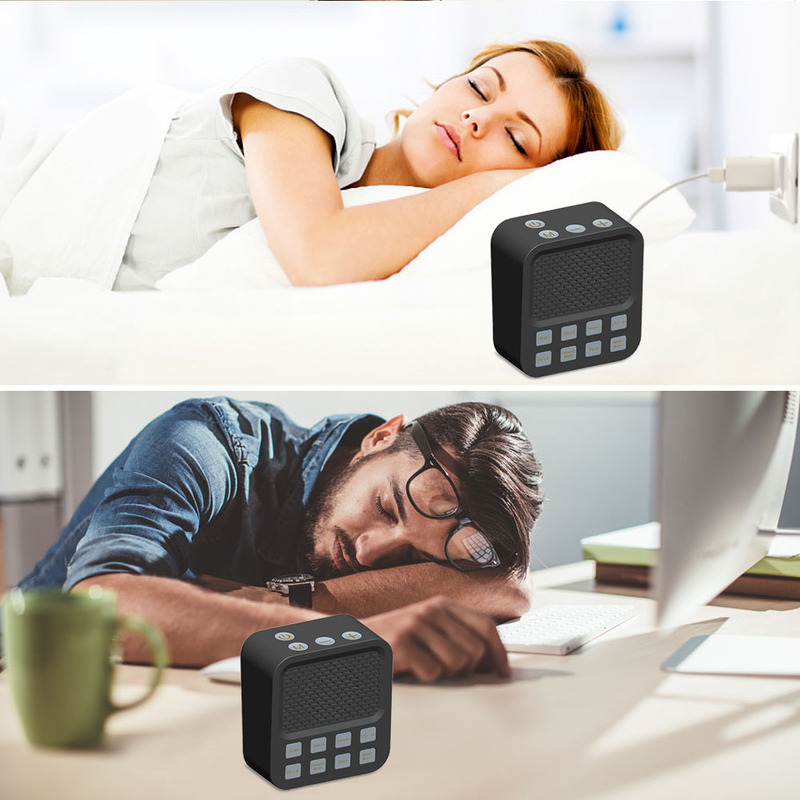 Not just for sleep: Our sleep machine can mask noise, improve sleep quality, help you relax, and is suitable for use at home, in the office, in a dorm, in a baby nursery or anywhere you want.